Here you can shop the brand-new football shirt collection for Tottenham Hotspur. We are supplied directly by the club’s manufacturer Nike and only stock the official Tottenham Hotspur shirt. Whether it is the home, away or third jersey that you are looking for you will find it right here at Soccer Box. 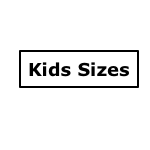 The shirts are available in a full range of sizes. Kids jerseys are available to fit junior Spurs supporters age 6-14 years and are marked as XS-Boys to XL-boys. We also stock the adult shirts in small – 2x-large. Each season Nike launches a new collection of football shirts for the Spurs footballers to wear on match days. Generally, three new jerseys are released each season home, away and third. The launches are staggered throughout the summer, often with the 3rdshirt launched last around October. The home jersey is the most popular of the Spurs shirts, and you can view the full Tottenham Hotspur home kit collection here. The white and blue home shirt maintains the sleek, iconic look while being given a modern make-over each season. If only buying one of the new jerseys most supporters opt for this option. 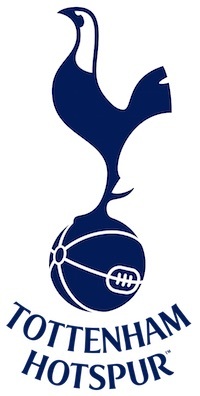 The second-choice shirt for Tottenham Hotspur is the away jersey, this is usually navy blue in colour, however there have been other variations over the years. Find out more about the Spurs away kit and shop the full range of shirts, shorts and football socks from Soccer Box. Usually the last shirt to be launched, particularly with Nike as the manufacturer, is the third shirt. The 3rdoption is primarily used for European and domestic Cup fixtures but, will also be allocated for use in a few Premier League away games each season. This final shirt option usually follows a Nike template and offers more opportunity for experimentation with design and colour, so if you are after a truly unique and stand-alone Spurs shirt this is the one to pick. Shopping for a Tottenham Hotspur football shirt is easy at Soccer Box. This page has every Spurs jersey that we have available. You will find the latest official shirts, as well as a selection of older merchandise that is priced to sell, these special offer Spurs shirts have limited availability and cannot be replaced once sold. You may also be interested in purchasing the coordinating Tottenham Hotspur football shorts, which we also stock in junior and adult sizes. You can also add official Premier League lettering and/or sleeve patches to your shirt. Pick the name and squad number of your favourite Spurs footballer or add your own name for an extra personalised touch. All jerseys are printed to order by our fully trained team. Please check all spellings before submitting your order as mistakes cannot be rectified once a jersey is printed. Add your Spurs shirt to your shopping cart and checkout while stocks last. We only stock official jerseys supplied directly from the Nike European distribution centres, we aim to keep prices low and we offer worldwide shipping options for your convenience. Order your Tottenham Hotspur football shirt from us now.